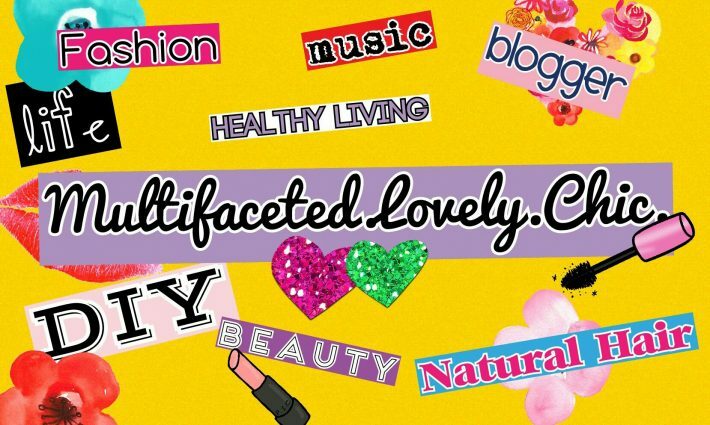 Cold Sore Treatment – Lovely.Multifaceted.Chic. I’ve been suffering from cold sore outbreaks since I was a little girl. Cold sores are very uncomfortable and unattractive. You’ve seen the commercials where the person with an outbreak is embarrassed and wants to hide. Well, in some ways, cold sores can make you feel that way. For me, I get them at the most inconvenient times. For instance, I’ll get them when I have a major event to attend or when meeting up with a friend that I haven’t seen in awhile. Cold sores can make you feel really self conscious. For years I’ve tried, unsuccessfully, to find ways to treat and prevent them from occurring. A few years ago, I thought that I had finally found a solution in the product Abreva. I found it at Walmart for about $17. The package said that if applied to the cold sore early on, it would prevent a full blown outbreak from occurring. It also promises that it works better than an other product that is on the market. The instructions for its application is to apply the product no more than five times a day. The issue I had with Abreva is that it never consistently worked. Sometimes it would and sometimes it wouldn’t. I didn’t want to continue paying that much for a product that is about the size of my pinky finger, and that work at random times. 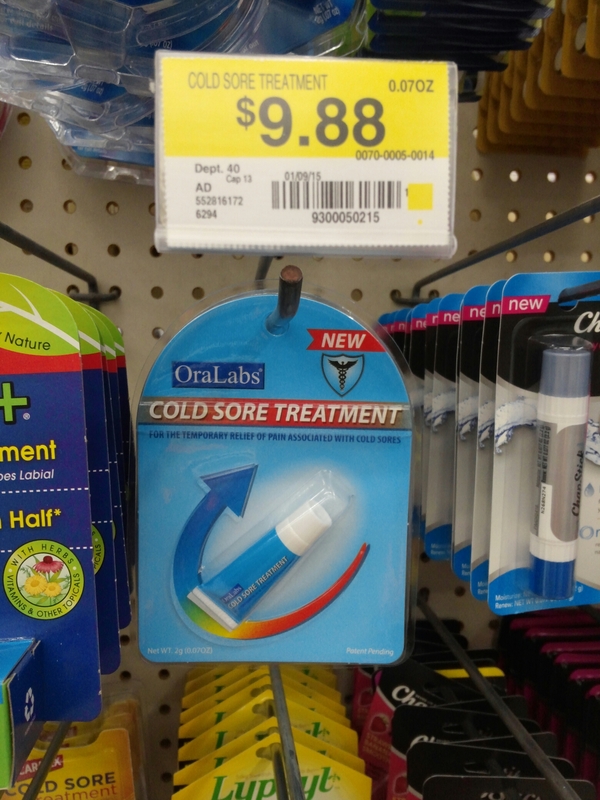 So, about a month ago, I found another product at Walmart that claimed to treat cold sores. It was almost half the price of Abreva. I tried it an it works within a small period of time after applying it to the cold sore. It’s cheaper, only has to be applied once, and has worked consistently. 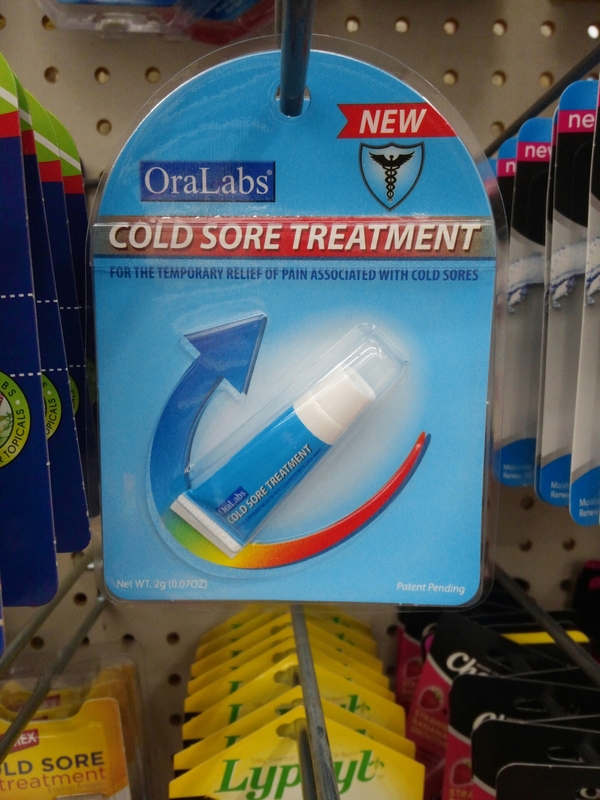 So for anyone who maybe suffering from cold sore outbreaks I suggest that you try the cold sore treatment by OraLabs. You can find it at Walmart for $9.88. You only get 2 grams of product for that price, but it is well worth it. I’ve posted a picture below of the how it looks. No problem. I’m just glad that I’ve finally found something that works.